It looks as though Warner Bros. is biting back on the recent rumors circling their live-action Tarzan adaptation regarding the over-booking of director David Yates (Harry Potter series) and an inability to close post-production on the big blockbuster. The studio released a slew of promo for The Legend of Tarzan this week, including images, a one-sheet, and the film’s first footage. It has been years since the man once known as Tarzan (Skarsgard) left the jungles of Africa behind for a gentrified life as John Clayton III, Lord Greystoke, with his beloved wife, Jane (Robbie) at his side. Now, he has been invited back to the Congo to serve as a trade emissary of Parliament, unaware that he is a pawn in a deadly convergence of greed and revenge, masterminded by the Belgian, Captain Leon Rom (two-time Oscar winner Christoph Waltz, Big Eyes). But those behind the murderous plot have no idea what they are about to unleash. Also starring in the film are Samuel L. Jackson (The Hateful Eight), John Hurt (V For Vendetta), Jim Broadbent (Brooklyn), and Djimon Hounsou (Blood Diamond). Edgar Rice Burroughs’ age-old story was adapted for the screen by Adam Cozad (Jack Ryan: Shadow Recruit) and Craig Brewer (Black Snake Moan). Whether or not production is nearing an end on the film has yet to be seen, but based on what the studio has released thus far, all of the background drama may prove to be worth the sweat. Sweeping visuals, immersive action, and quality effects are present throughout the teaser, giving audiences something to be excited for. 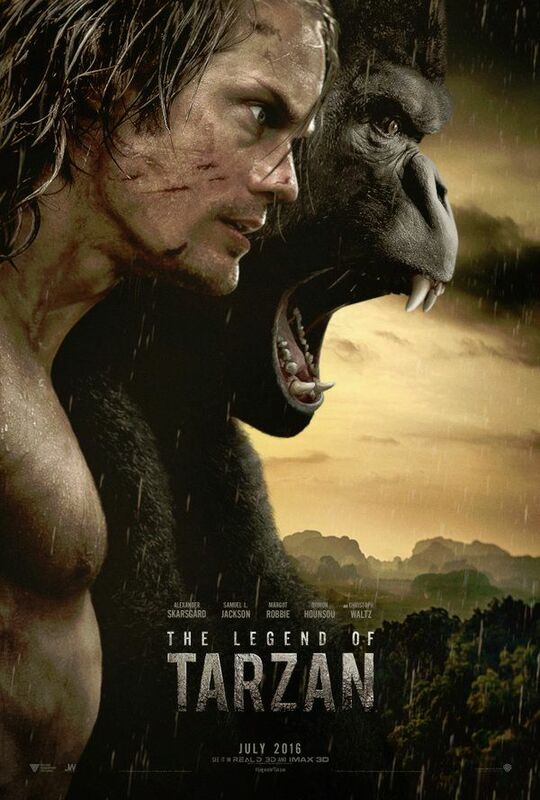 The Legend of Tarzan is set to hit theaters on July 1, 2015. Check out the one-sheet and teaser below.